Dental implants are tiny screws made of titanium. They serve as replacements for the teeth roots. Tooth implant is an artificial anchor for the replacement tooth (dental rown or dental bridge). It is installed into the bone of the upper or lower jaw and bond with the bone. Dental implants can replace a single lost tooth or many missing teeth. Replacement teeth supported by teeth implants feel, look and function just like natural teeth. Dental implants have a long clinical history and have proven to be one of the best restorative option. 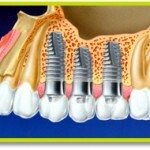 Dental implants preserve the integrity of the facial structure and reduce the inconvenience associated with tooth loss. Can anyone be a candidate for dental implants Poland? Every patient who is missing one or more of teeth due to decay injury or disease, might be a candidate for teeth implants. In case of one, multiple or all teeth are missing, dental implants with a dental crown or dental bridge can replace those teeth or all-on-4 and all-on-6 implants can be done. Check full offer of all on 4 implants Poland and all on 6 implants in Poland. Can the age of a patient be a contraindication to dental implants treatment? Sometimes older patients share concerns that their age may prevent them from taking advantage of the benefits of dental implants offer. The fact is that health is more of a determining factor than age. In majority of the cases where patients are healthy enough to have teeth extracted, they are also healthy enough to receive dental implants. Our dentists will determine if you are a candidate for dental implants after a evaluation of your dental and medical health history. At that time all your questions will be answered. Is Dental implants treatment painful or discomfort? According to majority of patients there is very little discomfort and they were much more comfortable following the procedure then they anticipated. Dental implants systems we use implants are placed in a very gentle fashion and care is taken to the various tissues involved. In every procedure anesthesia and patient sedation are used to eliminate any discomfort. 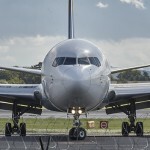 Our dentist also recommend that you speak with our previous patients who have already undertook tooth replacement therapy with Medical Holidays Abroad to learn about their personal experience. We always provide contact details to our previous patients prior to your treatment begins. The benefits of dental implant treatment include the enhanced ability to chew and enjoy your food, beautiful appearance, and also in many cases protection of your remaining teeth and jawbone. Teeth Implants offer many benefits which have never before been available for the treatment of missing teeth. In short, dental implants will look, feel and function like your real teeth. Dental implants treatment time may vary depending on individual situation. Standard treatment consist of two stages implantation and crowns placement. In between those stages there is a heeling time required which may take from 3 to 6 months. Will I be left without teeth for any period of time during the implant treatment? Upon patient preferences temporarycrowns/bridges or dentures are installed for patient convenience for the healing period. Most patients may expect dental implants to last lifetime. Success ratio vary depending on multiple factors such as whether implants are placed into natural or grafted bone and whether patient smokes. In general success rates are 95% (natural bone) and 85% – 90% (grafted bone). It is also worth mentioning that teeth implants are yet relatively new method. The first patient who had dental implants installed in 1965 still has them in function today. What does the after treatment care require in case of dental implants? Maintaining care of dental implants is important to assure the long-term success of the treatment. Patients are supposed to perform daily plaques removal. This can be accomplished through brushing and flossing around restoration. Our dentists will instruct on details of implants aftercare after implantation. Moreover patients are supposed to attend maintenance appointments at last once a 1-2 years. The healing process takes from three to six months depending on individual case. This is the amount of time it usually takes for the implant to become part of the jaw bone. Upon patient preferences in temporary crowns/bridges or dentures are installed for patient convenience during healing time. After a crown is made it is shaded to match your existing teeth and installed on dental implant. In situations where there is insufficient bone structure, bone grafting may be a required procedure before implants can be installed. We must put artificial bone and wait 4-6 months for osseointegration with natural bone. After that we proceed with the process described above. Maintaining care of the implants will help to assure the long-term success of your treatment. You will be responsible for daily plaque removal, which can be accomplished through brushing and flossing around your restoration. Your dentist or hygienist will show you how to properly care for your implants. You should visit your dentist at least once a 12-24 months for maintenance appointments. Medical Holidays Abroad is crowdfunding!